Whereas gravity is normally a given in home plumbing, waste removal may need to be achieved by other means in one particular area—the basement. Adding a toilet to your basement not only adds convenience, but it can also boost the value of your home. But before you proceed, it’s wise to do your research. The big thing you need to know is whether the sewer or septic lines are buried deep enough in the ground for gravity to do most of the work getting rid of the waste. For the answer, check with your municipality or the contractor who built your home. Note that even if you can count of the force of gravity, you are still going to need a one-way valve to keep wastewater from backing up into the basement. 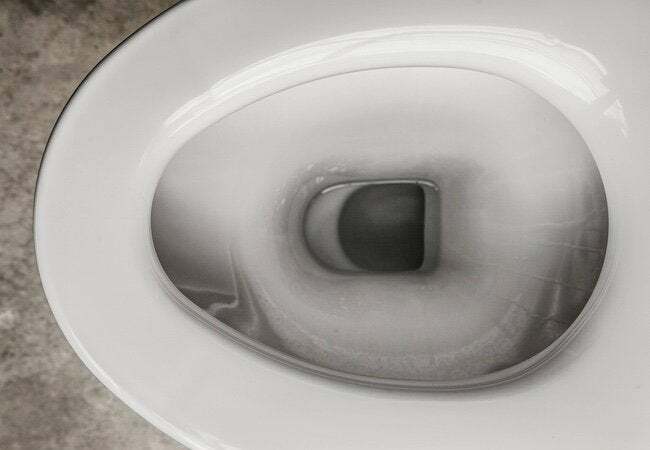 If the lines are above the level of the toilet, you’ll need to install an upflushing toilet. These generally have a pumping mechanism hidden inside the toilet or behind it. Upflushing toilets are not cheap, but since installation would likely not require cutting through the basement slab, you’ll save some money there. Some models even allow you to tie in the waste water lines from sinks and shower stalls—a definite plus. In any case, don’t start the job before you check local building codes. Most installations will require a permit.